Award-winning English journalist John Sweeney became a YouTube sensation in 2007 after losing his temper with a senior member of the Church of Scientology. 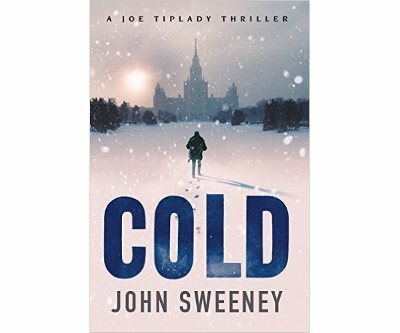 His new crime thriller, Cold, has an Irish hero called Joe Tiplady who is swept up in a wave of violence and retribution. In the feeble light of a London winter, Joe Tiplady walks his dog in the snow. Two men and a woman are tracking him. Around the world, a chain of events will make Joe a priceless target. A retired Soviet general hunts for his missing daughter after a series of brutal murders. A ruthless assassin loses something so precious he will do anything to get it back. And in the mountains of Utah, a brilliant ex-CIA chief wrestles with his religion. In the shadow of them all lies Zoba, strongman ruler of Russia and puppet-master of the world’s darkest operatives. Can Joe save himself from this dangerous web of power and revenge? Now working on BBC's Newsnight, Sweeney has reported on wars, revolutions and trouble in 80 countries for The Observer and the BBC. He has worked undercover in Chechnya, North Korea and Zimbabwe. He door-stepped Vladimir Putin over the killings in Ukraine and when he challenged Donald Trump about his business relationship with mafiosi Tony Salerno, Trump walked out on him.